A sneak peek into the concept of vectors for IIT JEE! What is the importance of this topic for an IIT JEE aspirant? What are the Best Books for the Preparation of Vectors? Willard Gibbs was basically a mathematical physicist whose contribution in statistical mechanics paved the way for physical chemistry  as a science. Einstein regarded Gibbs as the “greatest mind in American history.” Gibbs is also popularly known as the father of vector analysis or the proper study of vectors in math.The topic of vectors is an extremely important topic of IIT JEE Mathematics syllabus. 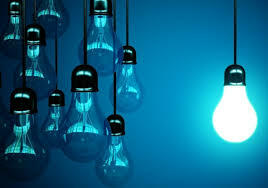 The topic is not very tough and can be easily mastered with a bit of practice.Here, we shall discuss vectors in detail and throw some light on various interesting facts including its sub-topics. Besides, we shall also illustrate some important tips to master the topic in addition to its practical applications in real life. Those willing to study these topics in detail are advised to refer the study material section of vectors. All measurable quantities are termed as physical quantities and the physical quantities can be categorized as:? The quantities which can be described only by specifying their magnitude are termed as scalars. Some common examples include: mass, work, distance, speed etc. 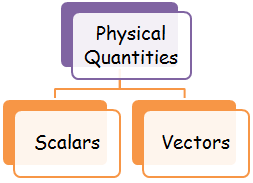 Those physical quantities that require both magnitude and direction to describe them completely are called as vectors. Some examples of vector quantities include velocity, displacement, acceleration, momentum and force.A vector can hence be assumed to be a directed line segment which has a certain magnitude and points in a certain direction. The magnitude of a vector is a scalar and scalars are denoted by normal letters. Vertical bars enclosing a boldface letter denote the magnitude of a vector. Since the magnitude is a scalar, it can also be denoted by a normal letter, |w| = w denotes the magnitude of a vector. The vectors are denoted by either drawing an arrow above the letters or by boldfaced letters. 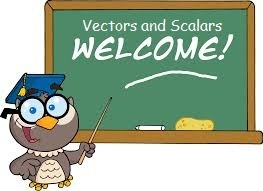 Vectors can be multiplied by a scalar and the result is again a vector. Two vectors and are said to be equal if they have the same magnitude andthe same direction. Suppose c is a scalar and = (a, b) is a vector, then the scalar multiplication is defined by  c = c (a,b)= (ca, cb). Hence each component of a vector is multiplied by the scalar. If two vectors are of the same dimension then they can be added or subtracted from each other. The result is again a vector.In such a case, the sum of these vectors is defined by + = (a + e, b + f), where = (a, b) and = (e, f). Dot Product of Two Vectors a and b where a = [a1, a2, ..., an] and b = [b1, b2, ..., bn] is given by a1b1  + a2b2 + ...,  + anbn . 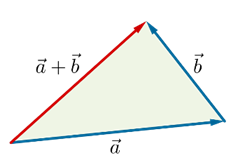 Given two vectors and , their sum or resultant written as ( + ) is also a vector obtained by first bringing  the initial point of b to the terminal point of a and then joining the initial point of a to the terminal point of b giving a uniform direction by completing the triangle OAB. If two adjacent sides of a parallelogram are represented by two vectors, then the diagonal of the parallelogram is represented by the resultant of both the vectors. Vectors occupy an extremely important place in IIT JEE preparation. It accounts for 5% of the JEE screening. For majority of students,vectors is the most interesting topic encountered by them in JEE Mathematics. The best part is that it also fetches good number of questions in JEE. What are the Best Books for the Preparation of Vectors? These books not only explain the concepts in detail but also contain various solved and unsolved examples. Various JEE level questions are also included in them. Arihant Calculus is excellent in every respect except that students need to select the problems carefully as the ones designed for Olympiads are not very useful for JEE aspirants. 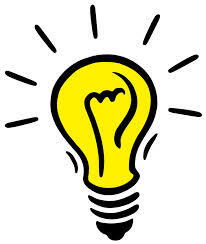 R.D.Sharma offers plenty of solved examples which help in clearing the concepts of students. Solution:Since  ,  and   are given to be linearly dependent vectors, so this also implies that the vectors are coplanar. √α2 + 2 = √3, α2 + 2 = 3 so α = ±1. Vectors which are in the same direction can be added by simply adding their magnitudes, while to add two vectors pointing in opposite directions their magnitudes are subtracted and not added. Column vectors can be added by simply adding the values in each row. You can find the magnitude of a vector in three dimensions by using the formula a2=b2+c2+d2, where a is the magnitude of the vector, and b, c, and d are the components in each direction. Cross product of vectors is not commutative. Collinear Vectors are also parallel vectors except that they lie on the same line. Three vectors are linearly dependent if they are coplanar which implies that any one of them can be represented as a linear combination of other two. The dot product of two parallel vectors is 1 and their cross product is 0. Two collinear vectors are always linearly dependent but two non-collinear non-zero vectors are always linearly independent. Three coplanar vectors are always linearly dependent. Three non-coplanar non-zero vectors are always linearly independent. More than 3 vectors are always linearly dependent. Minimum number of coplanar vectors for zero resultant is 2(for equal magnitude) and 3 (for unequal magnitude). DCs of a vector are unique and satisfy the relation l2 + m2 + n2 = 1, where l, m and n are the three DCs. DRs are proportional to DCs and are not unique. Consulting too many books can lead to confusion and hence students must refer just one or two books after they are done with the NCERTs. Vectors are more of a geometrical concept rather than algebraic. Hence,when we talk of (say) addition of two vectors, rather than assuming it to be simple addition students are advised to visualize the concepts. Vectors are free entities and hence one can move around a vector in the plane and it will remain the same vector as long as its direction and magnitude are preserved. Consistent practice is a must to excel in this topic. Various results and formulae should be on fingertips. While attempting a question on vectors, students are advised to visualize the concept and draw a diagram for the same so that chances of committing mistakes are minimized. The concepts of dot product and cross product including their nature must be very clear. Suppose we have three non-zero vectors  ,  & , then if their scalar triple product is zero, then the three vectors are coplanar. 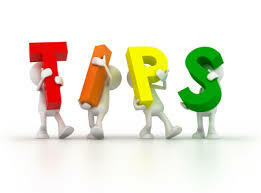 Practice sufficient number of previous year papers to get acquainted with the kind of questions asked in exam. Do not read the questions; try to depict them by figures to reach at the solution easily. The concepts of vector dot and cross products are used to estimate the capability of solar panels to produce the electrical power. The concept of unit vectors is used in determining thedirections like eats, north etc.Whenever and wherever direction is to be determined in real life, unit vectors play a vital role. Flying planes are based on the concept of vector mathematics. The motion of the plane is along the vector sum of wind and propeller velocity. Driving and sailing also use the vector principles, although we don’t really realize it. If one needs to cross a flowing river,the concept of vectors is usedin order to determine the point where he will land on the side. A bicycler tilts his umbrella forward while riding on a bicycle because the relative velocity of the rain is slant and hits his face. The more the speed of the cycle, the more he should tilt forward. Controlling and tracing the movement of cars, ships and planes moving in space involve the use of unit vectors. Hence, vectors is an extremely interesting topic which, with a bit of practice can help you fetch exceptional scores!